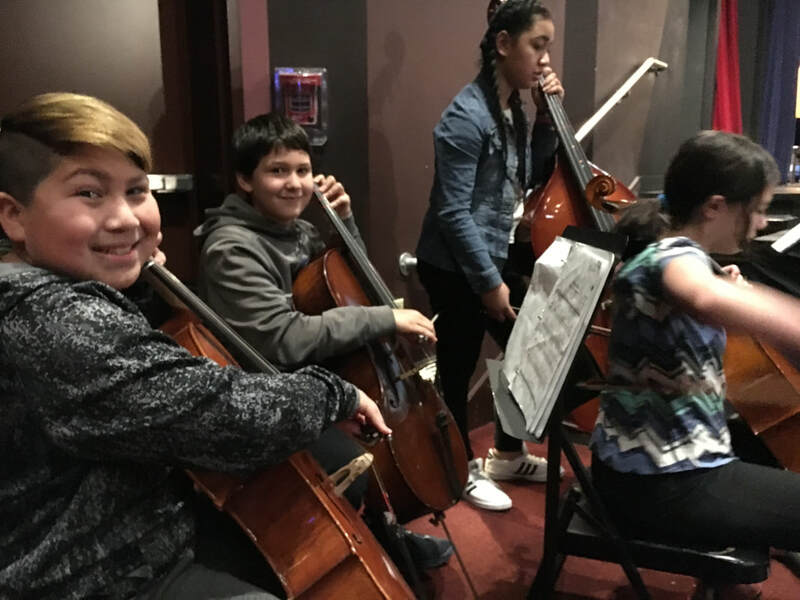 JAMM is a tuition-free music program, which uses the power of music and the social experience of ensemble to help youth reach their fullest potential. 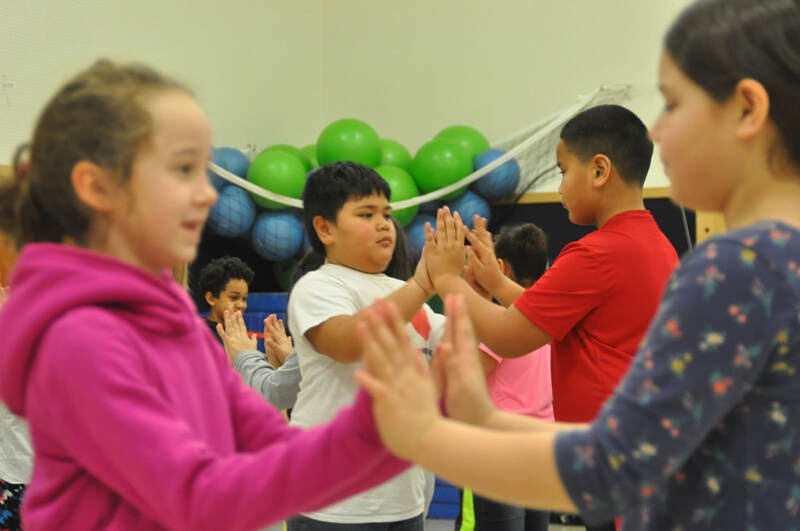 With both during and after-school programming, JAMM serves nearly 500 students in three elementary schools within the Juneau School District. 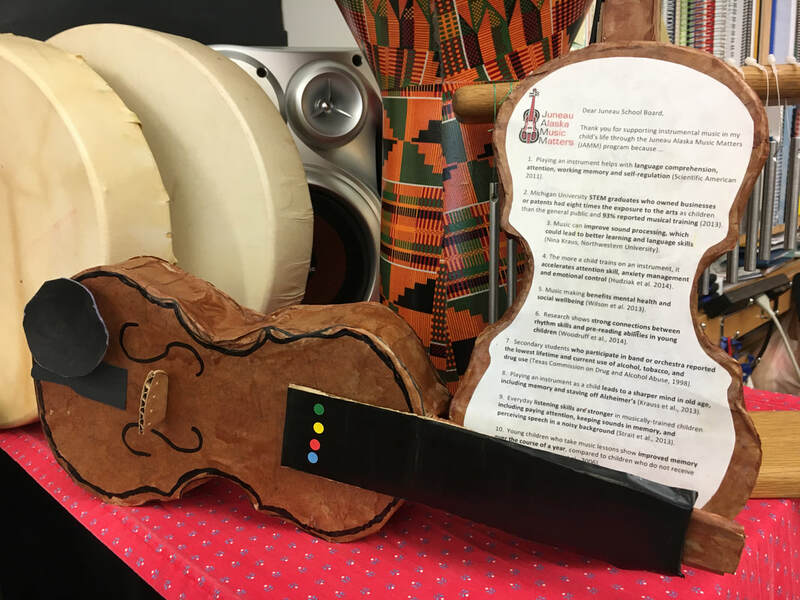 JAMM is both a school-readiness and positive youth development model where children develop key skills for life and are encouraged to contribute positively to their community through music, ensemble and leadership. TJ Cramer, Josh La Bocca, and Second2None recording studio are wrapping up recordings of songs by Riverbend and Glacier Valley JAMM students. The album will be available for purchase at JAMM's release party on Friday, May 3rd, at Riverbend school from 6-8pm. Join the celebration and check out performances by Juneau musicians and JAMM students, an instrument petting zoo, face painting, dancing, pizza, bake sale, and silent dessert auction. You can check out TJ Cramer and the Riverbend songwriters on KTOO! 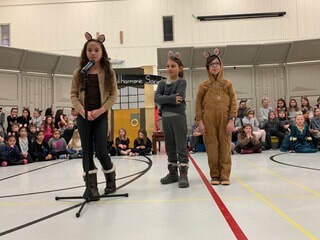 Riverbend JAMM students joined Auke Bay General Music students to perform the musical, "Mice and Mozart." This joint production combined singing, acting, and violin. 2nd and 3rd grade students work hard to memorize the music and prove themselves "performance ready". Thank you to Lindsay Clark- violinist, Auke Bay General Music teacher, JAMM teacher- for your hard work, long hours, creativity! 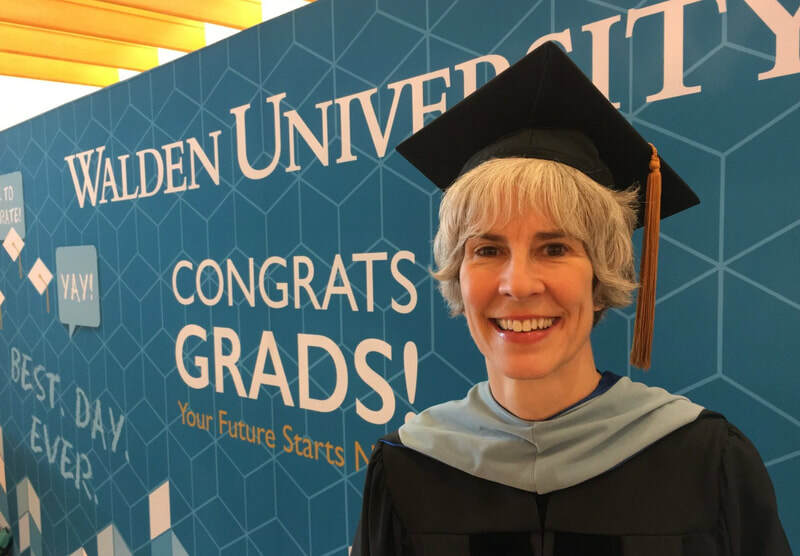 In May of 2018 Lorrie Heagy received her PhD in Education with a concentration in Learning, Instruction and Innovation from Walden University. 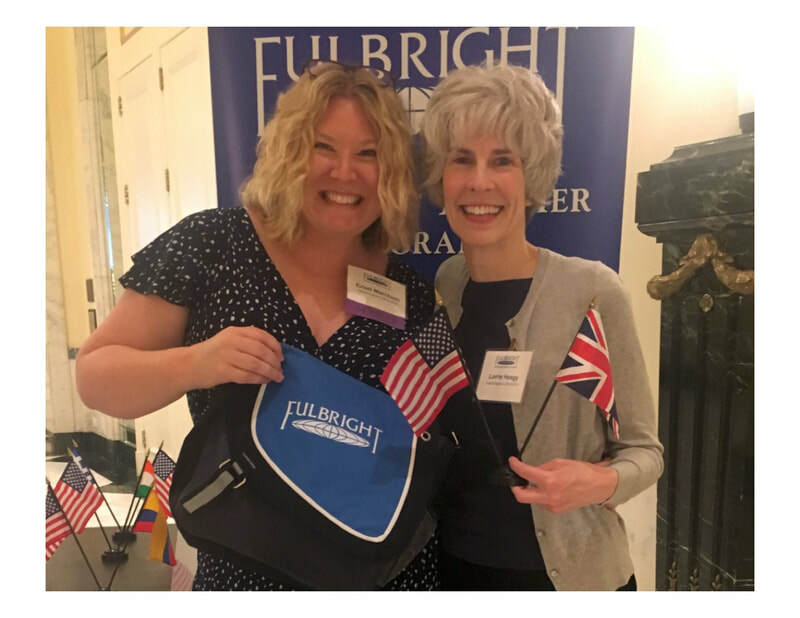 This spring her journey continues as she steps away from JAMM, temporarily, to learn and grow as a Fulbright Distinguished Teacher. Lorrie will be leaving Juneau in January to study music education in the UK and will be hosted by the University of Strathclyde in Glasgow, Scotland. 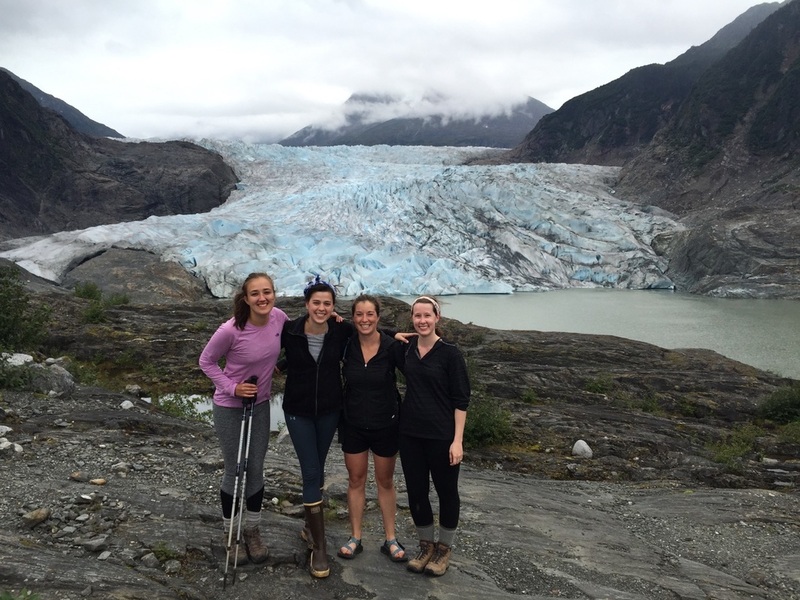 She plans to return to Juneau and JAMM next school year, to bring a new wealth of experiences and ideas to enrich the program. Congrats, and good luck! 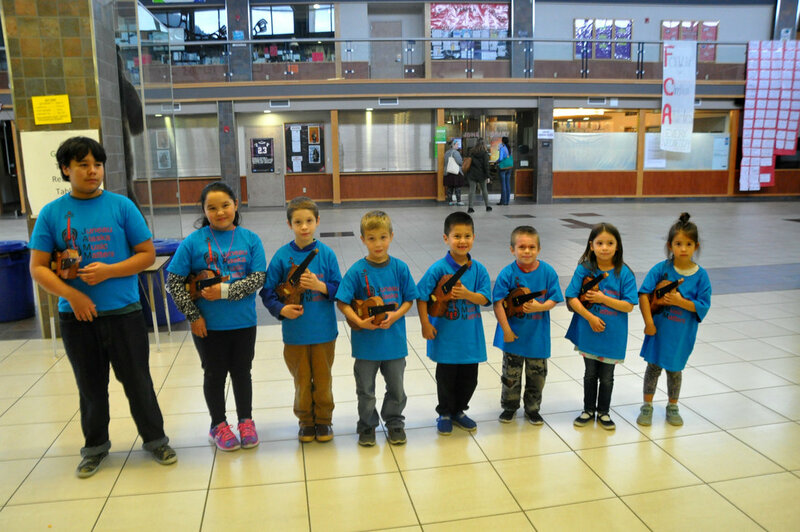 JAMM students from Auke Bay, Riverbend, and Glacier Valley schools performed at Juneau Douglas High School over Veteran's Day weekend. 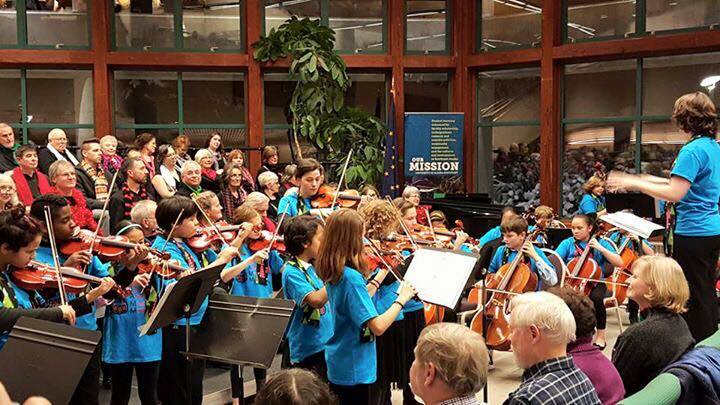 JAMM was invited by the Juneau Symphony to perform in the lobby prior to JSO's Saturday and Sunday performances. JSO also invited JAMM to hold a bake sale for symphony patrons. Thank you JSO for supporting music education and providing this wonderful experience. 11/1/18 "Playing it Forward"​ Public Recital and JAMM Fundraiser. was free, but all donations collected were donated to JAMM. 9/24/18 JAMM has a new partnership with Perseverance Theatre! through a session of Musical Theatre this fall. 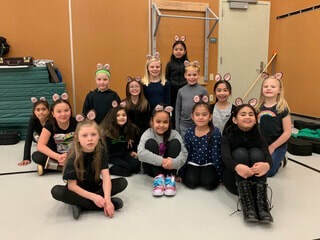 These budding thespians will show off their skills at Glacier Valley’s fall “informance” on Wednesday, November 28th, 2018, at 3:30 pm. Please join us for an evening of spoken word and song to support Juneau Alaska Music Matters (JAMM) by attending our JAMM SLAM Dreams in Color fundraiser at the JACC, this Friday (4/27) from 6:30 - 8:30 p.m. Members of the Juneau community are donating their time and talent to provide entertainment, while JAMM parents and owners of Rachelʼs Ono Grind and Donnaʼs Restaurant are donating a delicious dinner and dessert including Kahlua park and teriyaki chicken. JAMM students will perform right before the dessert auction to highlight the different types of JAMM programming offered at its three sites. Many thanks to Jocelyn Miles, Kristin Price, Rachel Hinman, and Ariana Giamakids for their organizing efforts! 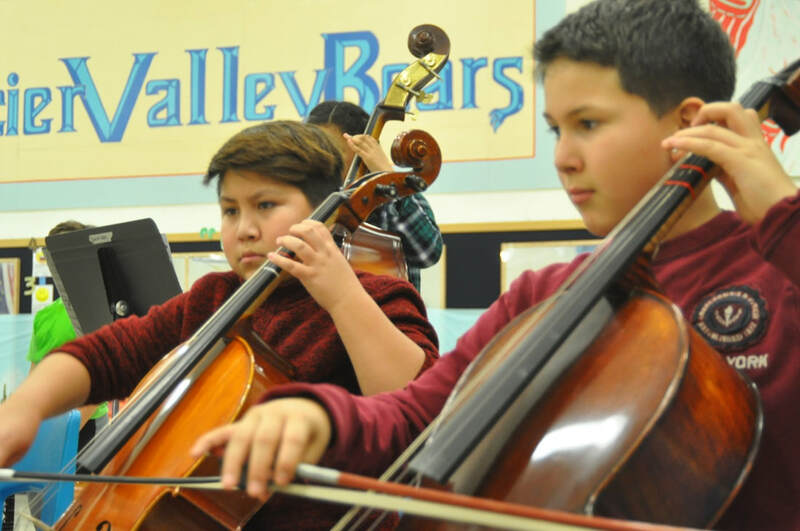 Tuesday, February 13th, Glacier Valley JAMM musicians have been invited to perform for the Alaska Children’s Trust reception, hosted by First Lady Walker and Ms. Mallott. The event and fundraiser will be at the Governor’s Mansion from 5:30 to 7pm. The Alaska Children’s Trust works to prevent child abuse and neglect by investing in programs such as the Alaska Afterschool Network, the Alaska Adverse Childhood Experiences Initiative, Prevent Child Abuse Alaska, and Strengthening Families approach. Please consider attending the reception and supporting the ACT. 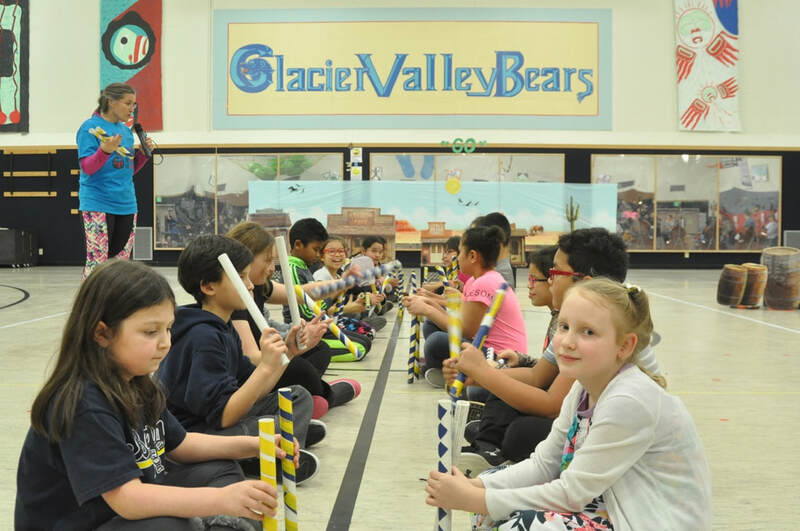 Glacier Valley 5th grade JAMMers joined with 5th graders city wide for an Any Given Child sponsored performance with the Juneau Symphony Orchestra. 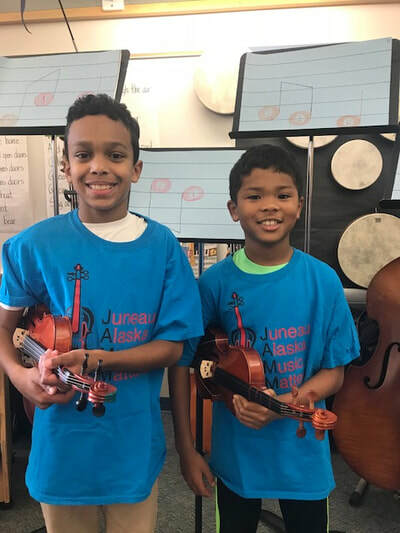 In 2013, the Kennedy Center’s Any Given Child program chose Juneau as the 11th community to benefit from their K-8 arts education outreach and support; this includes the Carnegie Hall Link Up’s “The Orchestra Sings” program. 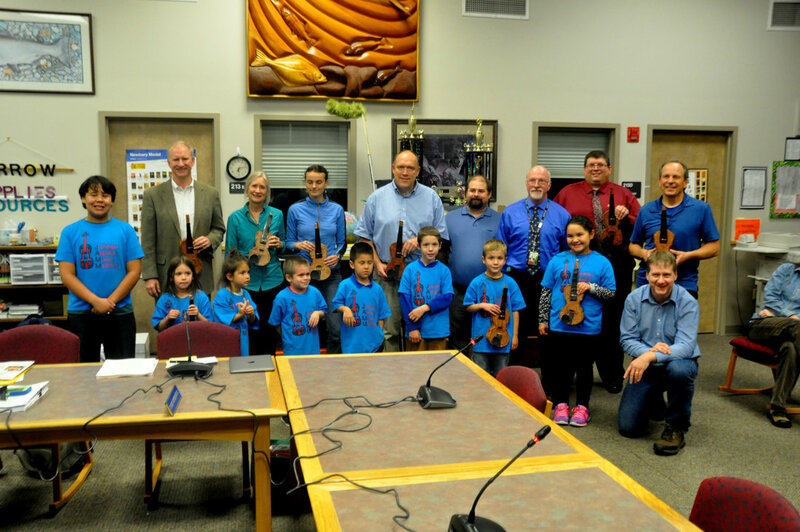 Through this collaboration, local 5th graders were introduced to instrument families and symphonic repertoire. 5th graders came prepared to sing and play recorder with the symphony. 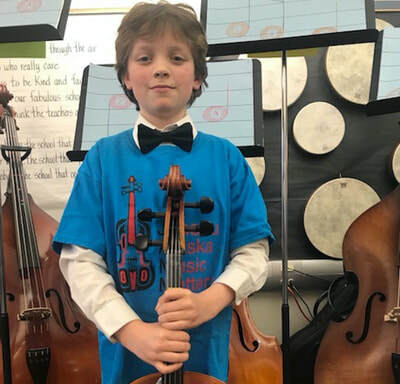 For Glacier Valley’s El Sistema inspired JAMM musicians, 5th graders became part of the orchestra, reading orchestral music and playing violins, violas, celli, and bass. 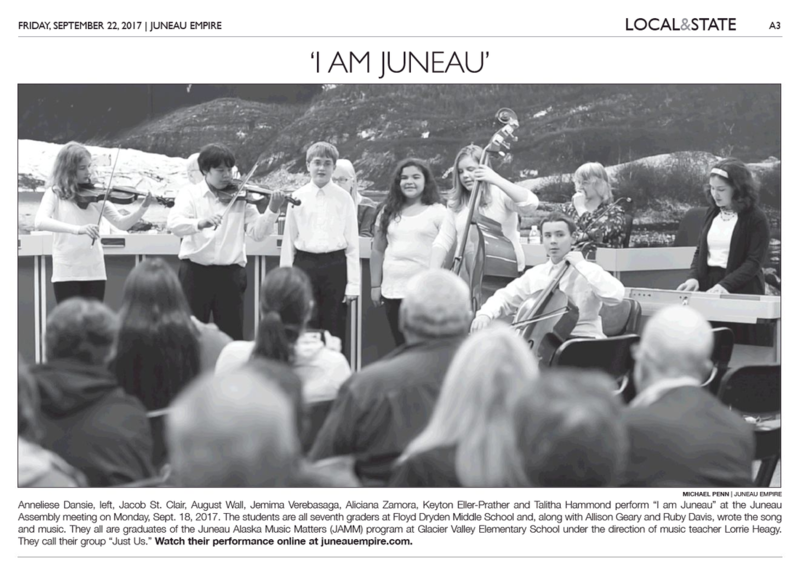 We would like to thank all the organizations and individuals who made this inspiring performance possible, as well as the Juneau Empire, for the beautiful photos of our JAMM musicians. The Juneau Community Foundation invests in the health and well-being of our community. During this holiday season, consider making a gift to support their five fields of interest funds, including youth and education. They launched their youth fund with a generous gift to JAMM. 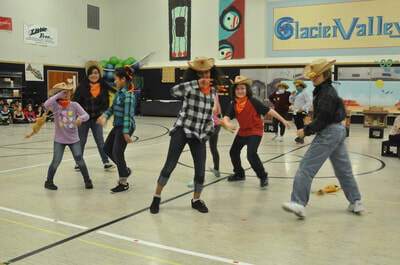 TueJAMM celebrated the culmination of its Fall after-school programing at Glacier Valley with an Informance. One hundred students shared their collaborative musical work of movement, musical theater, songwriting, and orchestra with parents and community. December 14th marks the last day of after-school JAMM before the winter break. We will start back-up after the New Year on Tuesday, January 9th for 2nd graders and Wednesday, January 10th for 3rd - 5th graders. 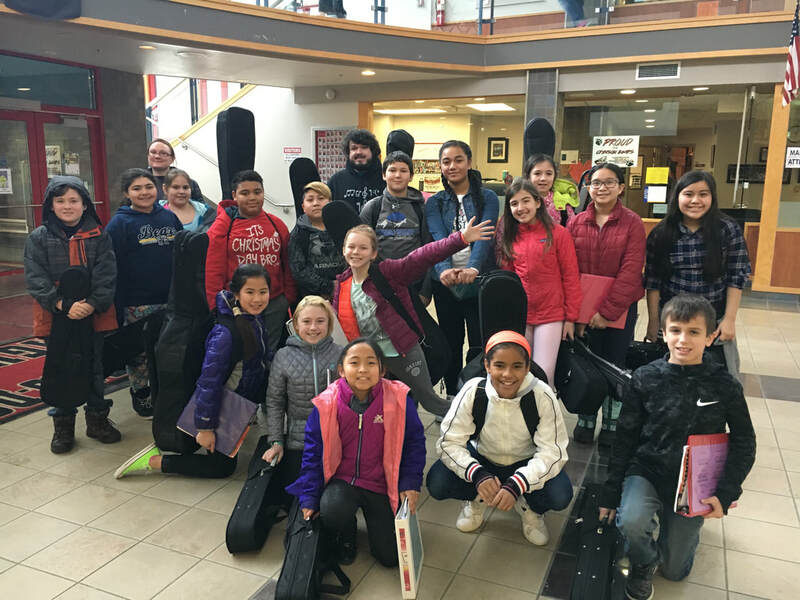 7th Grade JAMM Teaching Assistants who volunteered their time 1 - 2 days/wk at Glacier Valley's JAMM program to mentor, assist and act as positive role models for younger students participated in a songwriting project inspired by the work TJ Cramer at Riverbend's JAMM program. 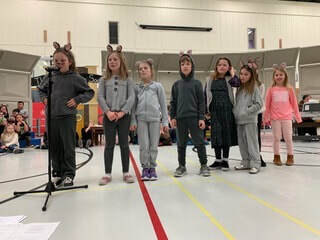 With the help of JAMM teacher, Inga White, the students composed a song called, I Am Juneau, which they performed at the 9/18 City Assembly meeting in honor of National Arts Education Week. Here is a video of their performance from Michael Penn of the Juneau Empire. Thank you to Wells Fargo for funding this project and for the Douglas-Dornan Foundation through the Juneau Community Foundation for funding a professional recording of this song soon available on iTunes. Playing an instrument helps with language comprehension & attention, working memory and self-regulation (Scientific American 2011). Michigan University STEM graduates who owned businesses or patents had eight times the exposure to the arts as children than the general public and 93% reported musical training (2013). The more a child trains on an instrument, it accelerates attention skill, anxiety management and emotional control (Hudziak et al. 2014). Music making benefits mental health & social wellbeing (Wilson et al., 2013). Research shows strong connections between rhythm skills and pre-reading abilities in young children (Woodruff et al., 2014). Secondary students who participate in band or orchestra reported the lowest lifetime and current use of alcohol, tobacco, and drug use (Texas Commission on Drug and Alcohol Abuse, 1998). Playing an instrument as a child leads to a sharper mind in old age, including memory and staving off Alzheimer’s (Krauss et al., 2013). Young children who take music lessons show improved memory over the course of a year, compared to children who do not receive musical training (Trainor et al., 2006). This program featuring French music for harp, flute, violin, viola, cello, and piano will benefit JAMM, which serves 600 students in three elementary schools and one middle school within the Juneau School District. Performers include Lindsay Clark, Lorrie Heagy, Meghan Johnson, Candace LiVolsi, Sally Schlichting, Mary Watson, Sam Williams and Mai Wolf. Admission is free but donations will be accepted at the door to benefit JAMM. Thank you, Sally Schlichting, for dedicating this concert to JAMM and for creating the Con Brio Chamber Series, which serves to provide instrumentalists and singers a forum to collaborate, create, perform and share their love of chamber music. 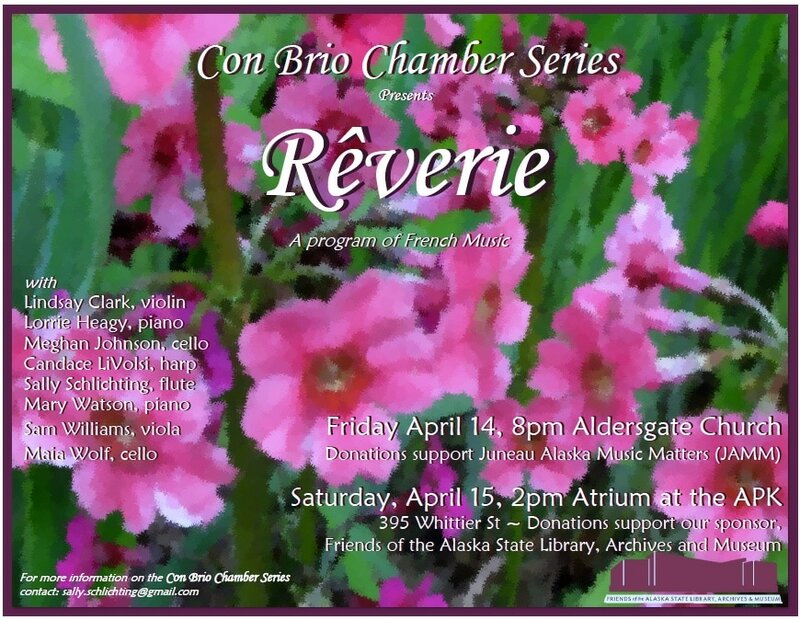 This concert will also take place Saturday April 15th at 2 p.m. at the Alaska State Library Archives and Museum (SLAM) building and will support Friends of SLAM. 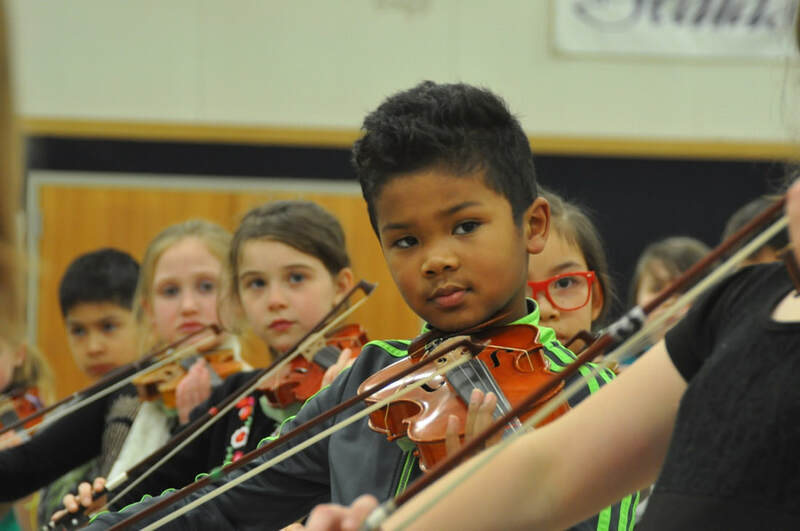 This program featuring chamber music for voice, flute, strings, and piano will benefit JAMM, which serves 600 students in three elementary schools and one middle school within the Juneau School District. Performers include Mark Calvert, tenor; Sophia Butler, violin; Andrew Israelsen, double bass; Meghan Johnson, cello; Kate Kroko, viola; Sally Schlichting, flute; Douglas Smith, piano and Luke Weld, piano. Works include the finale from Schubert’s “Trout” quintet, Beethoven’s sublime An die ferne Geliebte, a premiere by Canadian composer Leila Lustig, and music by Andre Previn and Francis Poulenc. Concerts are Saturday October 1, 8pm and Sunday October 2, 3pm at Northern Light United Church. A reception will follow each performance. Admission is free with donations accepted for JAMM. 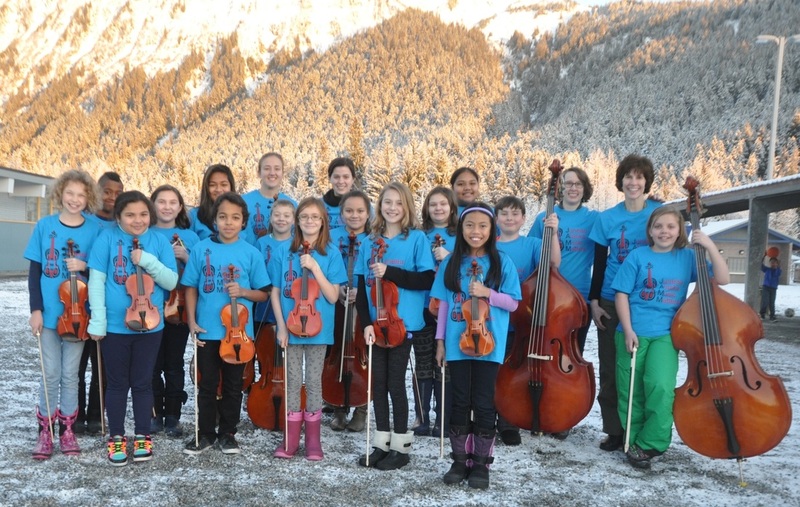 Help send JAMM 5th graders to the Sitka Fine Arts Camp this June of 2016! Twelve of them are fundraising to attend this week-long camp, which provides younger students with a chance to have new artistic experiences, find new ways to express themselves, and have fun learning a variety of art forms from outstanding instructors who are experienced artists and educators from around the country. The Strings Camp provides masterclasses, eurythmics, lessons in musicianship and playing in a group. The Morning Session gives students experiences in music, theater, movement, and visual art. Join the Red Cross of Alaska for an evening of delicious food catered by Abby's Kitchen and live music from the Mendenhall Quartet and the Ron Maas Big Band. The American Red Cross of Alaska is presenting “Flirting with Disaster Dinner and Silent Auction” to learn more about being prepared for a disaster. Proceeds of the tickets sale and silent auction will go to the American Red Cross of Alaska. JAMM will be joining us with a dessert auction and handling coat check. The money they raise will help fund their efforts to attend the Sitka Fine Arts Elementary Camp this June of 2016. Please join us! Join us for an afternoon of holiday music to celebrate the season! The JAMM Chamber Group at Glacier Valley is delighted to partner with Juneau Arts & Humanities Council in presenting Holiday Pops Concert, happening at the UAS Egan Library on December 12th at 7:30pm and at the Juneau Arts & Culture Center (JACC) on December 13, 2015 at 3:30 PM. There will be a pre-concert by Capital Brass 30 minutes prior to both shows. Tickets are on sale now at The Juneau Arts & Culture Center, Hearthside Books, and at www.jahc.org. Tickets are $8-10. Members of The Mendenhall Quartet and JAMM Chamber Group stand in the Glacier Valley Elementary School playground with Thunder Mountain as their backdrop. Please join us for an evening of wonderful music to benefit JAMM: The Gift of Music. The event will include performances by local high school pianist, Kyle Farley-Robinson, as well as debut performances of The Mendenhall Quartet and the JAMM Chamber Group. Come prepared to sing holiday songs with our JAMM musicians during the concert and eat holiday treats at the reception following the performance. When: Sunday, December 6th at 4:00 p.m. In partnership with the Juneau School District and the Juneau Symphony, JAMM launched a scholarship program for string musicians to pursue a Master of Arts in Teaching degree and/or a K-12 music certificate through the University of Alaska Southeast. 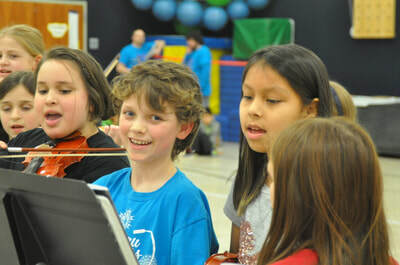 While attending UAS, these talented musicians will perform in the Juneau Symphony and at JAMM schools. Read the bios of these talented musicians and and visit them on Facebook. They also have been keeping a blog of their experiences.